BJTOTO succeed breakout MA50 resistance level. Will it breakout RM3.90 resistance? Parabolic Stop & Reversal trigger BUY call. If retrace down, immediate support @ MA50 level. Strong support @ RM3.80 level. 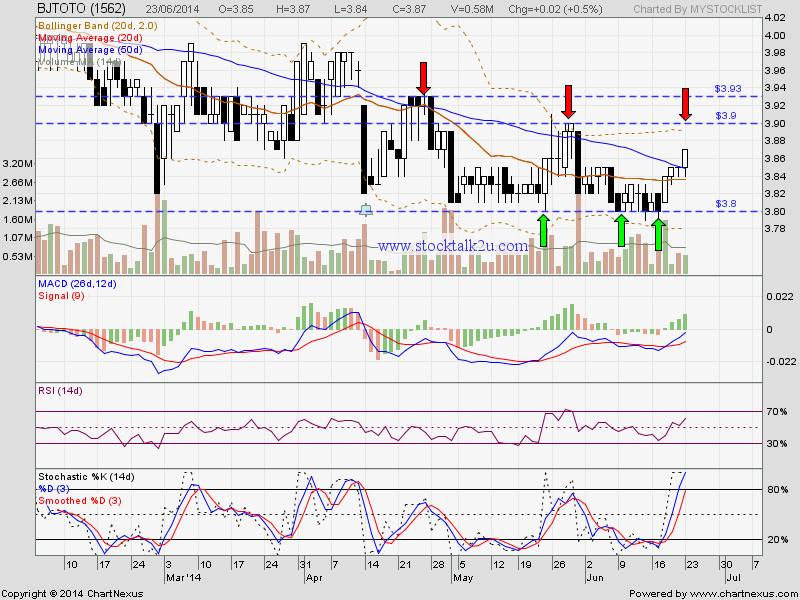 If succeed breakout RM3.93, higher high is confirm. Double bottom @ RM3.80 is solid.